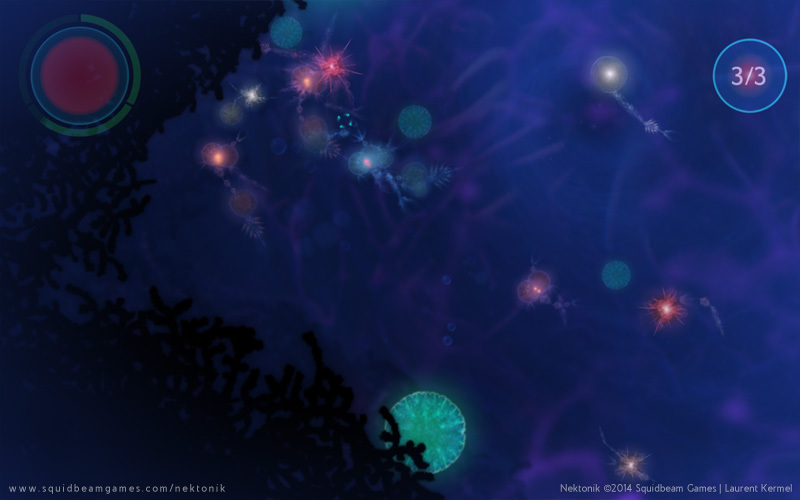 In the depths of a whimsical aquatic world live tiny organisms called Nektons. 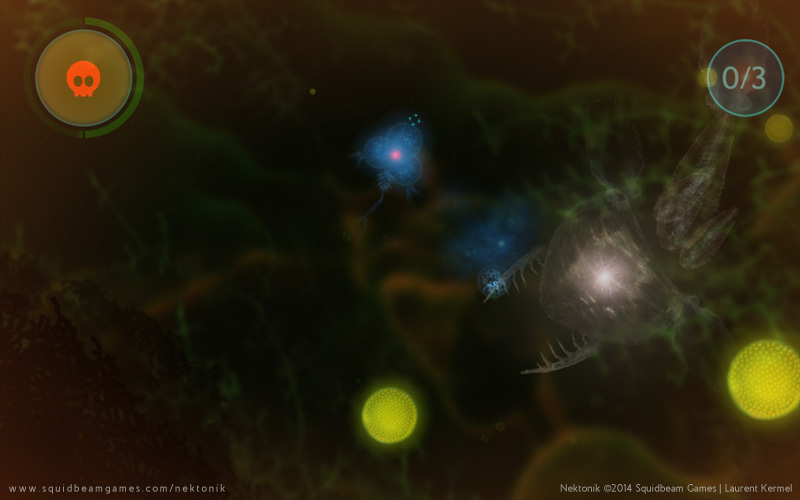 They eat, fight and grow by capturing parts from other Nektons. Generation after generation, Nektons are born anew.  You modify their genes and assist them in surviving. Can you evolve the mightiest Nekton? Nektonik is currently on hold. Although most of the gameplay mechanics are in place, the way how the game unfolds and especially the levels need to change in order to make the experience more satisfying. 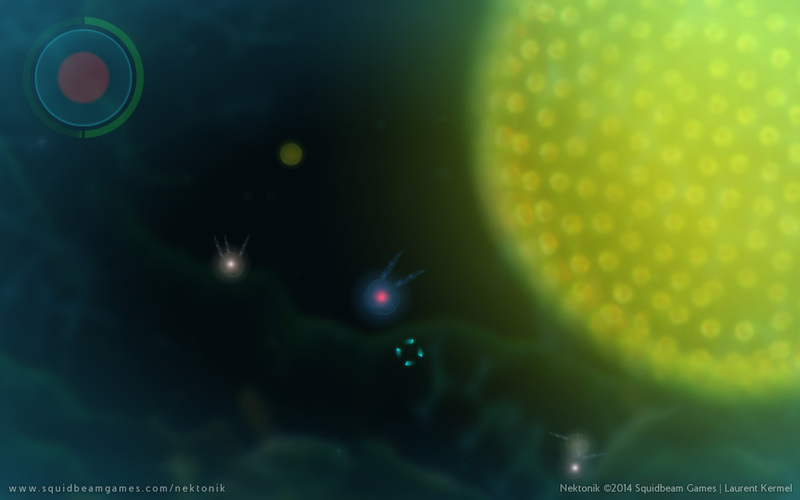 Nektonik is a game I am deeply passionate about and it is far from dead, but I had to prioritize other projects. 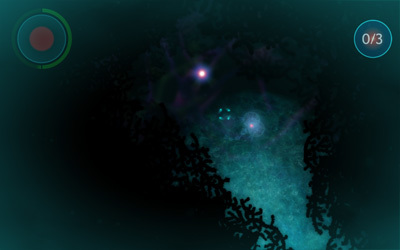 PLAY THE EARLY ALPHA IN YOUR WEB BROWSER NOW ! Nektonik is a whimsical life simulation game with unique aesthetic and visuals. You control a microscopic and frail aquatic organism called a Nekton, and you follow its most amazing journey as a species. In each level you need to grow your Nekton to a specific size. To grow larger, you can defeat other organisms and capture the parts they leave behind. Once attached to your Nekton, these parts integrate completely - some offer more speed and agility whereas others grant you new abilities. 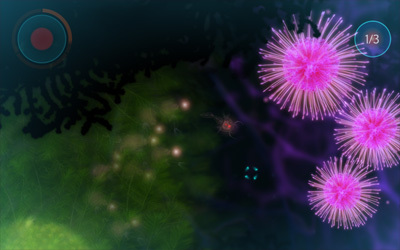 Once a level is completed, the Nekton you played with is left behind. It has gone through its life cycle and was just a link in the long chain of life. It must now pass on its genes to the next generation, making it possible for its descendants to thrive and eventually dominate the world of Nektonik. In the Gene Lab, you can genetically modify your Nektons. 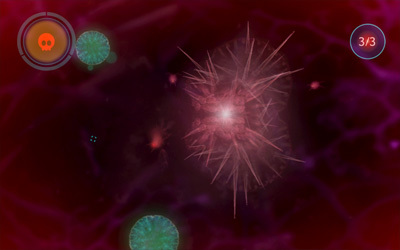 One generation at the time, you assist them in surviving, modify their genes and customize their unique anatomy. The design of your Nektons drives the way how the tiny organisms swim and behave. Customize them the way you see fit! Early in the game you also acquire the ability to split and create clones of yourself. These Splits help you defeat other Nektons or resolve precarious situations. They also act as lives and you control any remaining Splits if your Nekton happens to die. 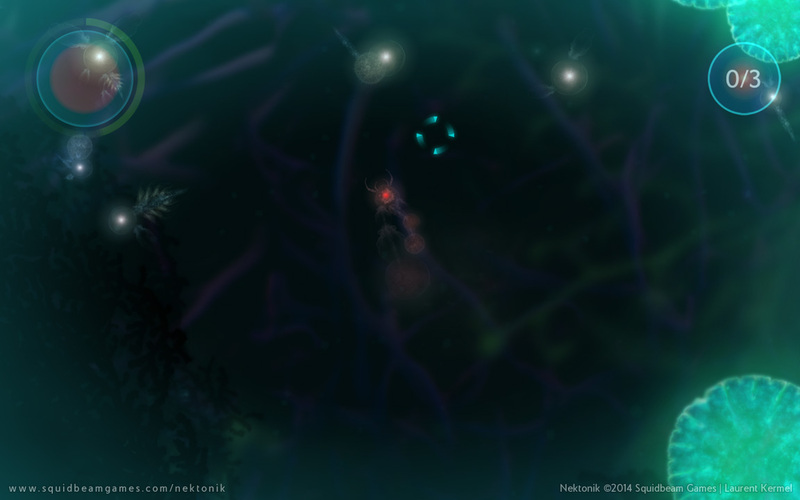 Much larger foes await the player later in the game and unlock new Nekton types. These new types offer new features and abilities, and can even be bred to produce stronger Nektons not otherwise available. The world of Nektonik is non-linear and divided into linked stages that can be revisited over and over. These stages hide many secrets, some have puzzles to solve whereas others have areas that can only be reached as you gain new abilities. 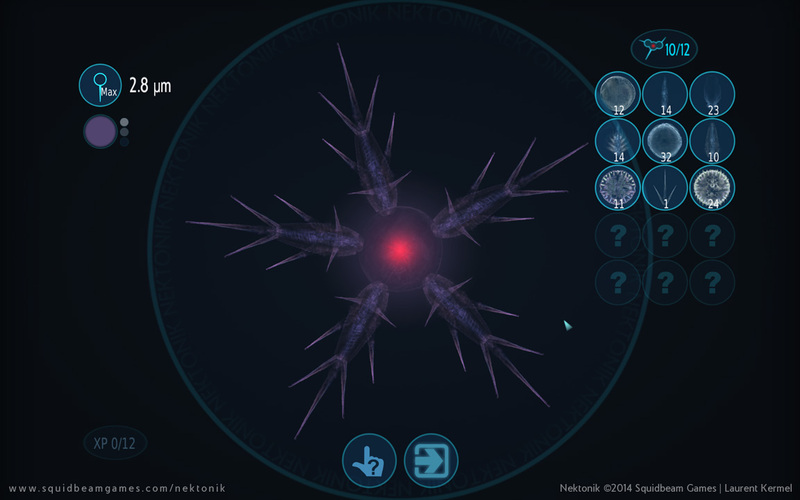 The design of your Nekton drives the way the tiny organism swims and behaves. Customize your Nekton the way you see fit! The choice is yours and the intuitive editor is only limited by your own creativity. Nektonik doesn't look like any other games and some players even described it as "almost like watching a natural documentary". 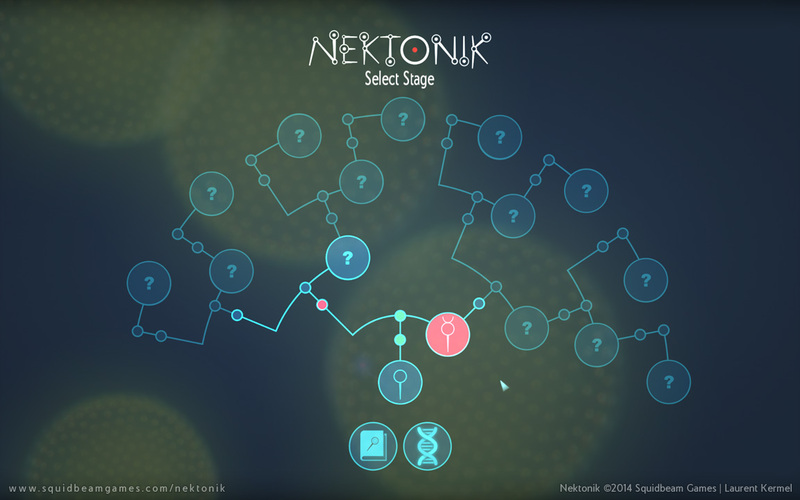 The linked stages in Nektonik hide many secrets, some have puzzles to solve whereas others have areas that can only be reached later as you gain new abilities. 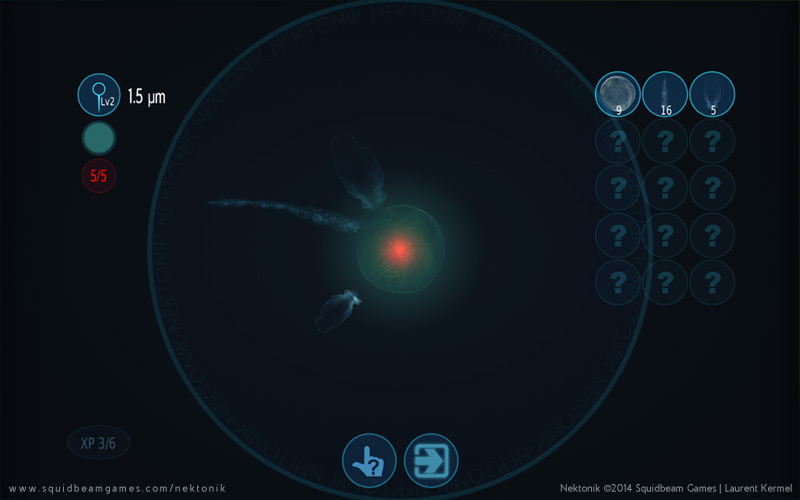 Nektonik only uses the mouse and features a clean and simple UI, both designed to give the player an unique sense of immersion. What do others say about Nektonik? "A Game Better Than Agario?" 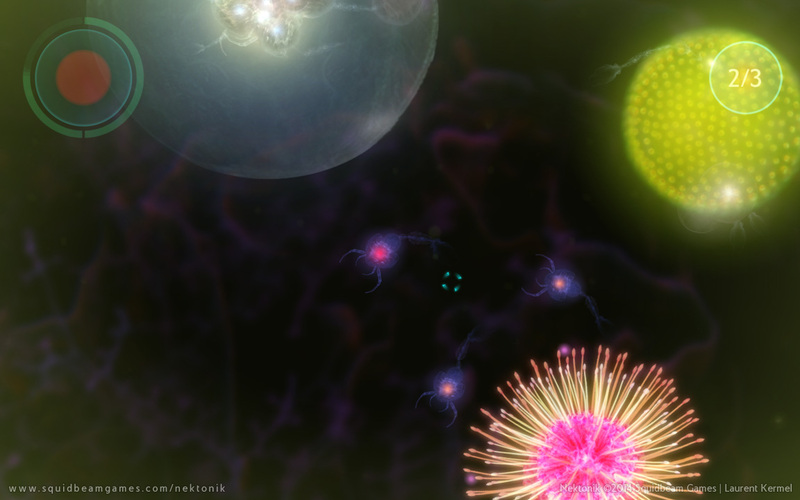 http://www.youtube.com/watch?v=WQXc3yHhDyY "A beautiful and entrancing swim through a deadly microscopic wonderland"
Would you like to take Nektonik out for a spin? It is now possible, the Unity Web Player version is now online! This version uses the Unity Web Player, so make sure you install it first (the Unity Web Player is sadly not available anymore for Chrome, so your best option is to use a different web browser to play this demo). 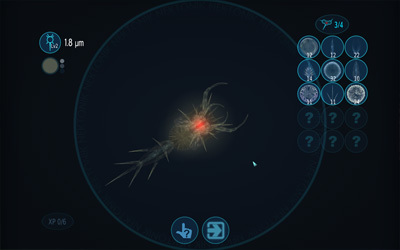 Once the demo is loaded, you can right-click on the Unity window to switch to full screen. Graphics are a bit rough in places and this is due to this optimized build, the final release will be full HD and a lot sharper overall.